Cambridge uses an eclectic mix of materials to create a conversation piece. 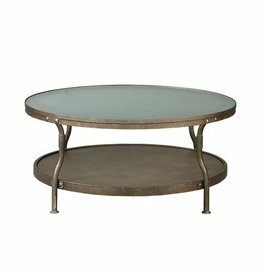 Frosted wire glass is inset into metal frames with an antique silver hand patina finish. Decorative, yet functional with the lower painted MDF shelf. 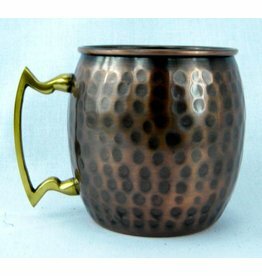 Indulge your taste buds with a moscow mule in a copper mug from Butte America!